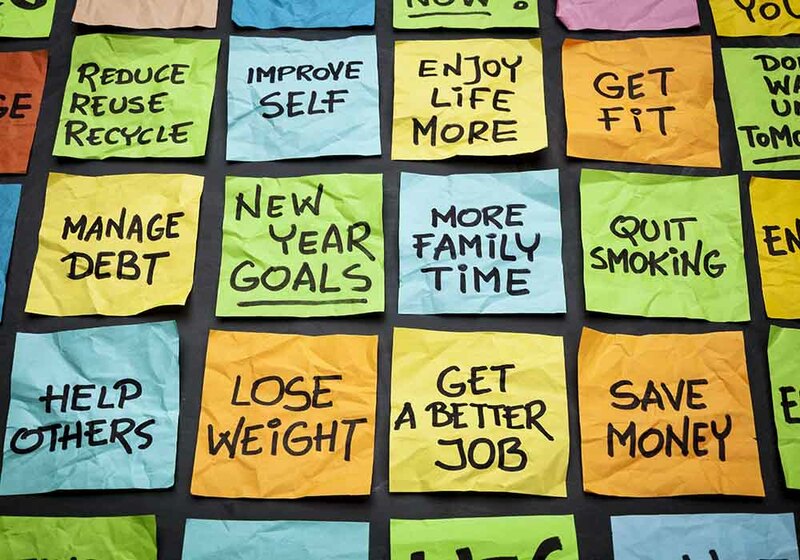 As the holidays quickly approach, New Year’s resolutions start to surface. Some want to get into shape, and some are going to diet. Some don’t do anything at all and hope that something good just happens. Other say, “Why set yourself up to fail?” No one ever keeps these promises past January, so why bother? Instead of hoping for a miracle or defeating yourself early in the game, why not proactively take some steps to ensure good things happen in the time management/protocol arena. The first step is recognizing shortcomings and weaknesses. We don’t need to dwell on them, but we do need to identify them so that they can be addressed. For example: If you are a person who is always late, being on time is a challenge for you. You may be a person who gets dressed quickly and doesn’t necessarily look your best due to the lack of time. This is a good challenge. If you are a person who rarely sends thank-you notes or takes the time to appreciate, that would be a downfall. Whatever shortcomings have been identified, figure out what would make you more productive and feel better about yourself. Many times it is time management. We do not want to take the time to do what needs to be done because it cuts into something else. However, we make time for things that are important to us. The problem is that most of us allow other priorities to deplete us, leaving little time for what needs to be done in our world. Ultimately, if we took the time to address these frustrations, we would feel better about ourselves and be more productive in other areas. This year instead of promising yourself that you’re going to commit to P-90 and an Insanity workout every night, commit to protocol. For example: if you are a person who always throws together an outfit last minute based on what is clean for work, a couple times a week decide what you are going to wear the night before and put it out. Put it together with accessories, shoes or boots and make sure everything is well pressed. Research shows that how we dress affects our behavior, attitude, and how we carry ourselves. Everyone feels better when he or she are dressed well. If you are a person who is always late, set an alarm somewhere. Whether it’s a smart phone or regular alarm, when it goes off, you are out the door. No exceptions! Set it for 15 minutes earlier to allow time for unexpected things like traffic, forgetting something or an unexpected conversation. No matter how busy we are, we make time for things that are important to us. The problem is many time kids, dogs, bosses, wives, husbands, and parents seem to come first. If we take the time to address a couple of protocol/time management imperfections this year, the benefits will be significant to everyone involved.